Gwen Frostic was born in the year 1906 in Croswell, Michigan- a small town in east Michigan. She was the second child of the family, following her brother Kenneth. Around Christmas Eve when Frostic was a young infant, she was struck with a terrible mysterious fever to which no doctor could determine the cause. In a week the fever had vanished and had left Frostic with damaged motor skills and stifled movement. She now had difficulty walking and had significant trouble learning to write a few years later. At the time, the doctors diagnosed her with polio and Frostic accepted that claim her entire life, although her siblings doubted this diagnosis (James 12). The Frostic family continued to grow to nine members, relocating to Ann Arbor and then Wyandotte, where they would live for thirty two years. (James 25). While growing up in Wyandotte, Gwen Frostic took an artistic cue from her father, inheriting her father’s passion for art and nature. With help from his wife, Mr. Frostic created beautiful nature scenes in their backyard complete with flowers, majestic trees and a cement pond filled with goldfish. Gwen Frostic quite often drew inspiration from this, and began to explore nature-inspired art. She was able to capture minute details of flowers, birds, and other life, and re-create them years later with linoleum block printing. Simultaneously, her parents infused more responsibilities into her life: she was now in charge of baking and some housekeeping duties. While in high school, Frostic enrolled in multiple drawing classes. Her classmates had come to know her as a spunky, well-dressed, goal-driven young woman. She was also pegged as “Class Artist” in class elections. Approaching graduation, two of Frostic’s younger siblings, Andrew and Marjorie, contracted measles. Unable to fight the infection, Marjorie (only two years old) passed away before the family had a chance to react (James 26-28). Frostic later went on to pursue her undergraduate studies at Michigan State Normal College (now known as Eastern Michigan University) where she earned a teaching certificate studying art education for two years. There, she belonged to the Alpha Sigma Tau sorority, providing a place for her to feel loved and accepted by fellow students. In 1926, she transferred to Western State Normal College (now Western Michigan University) where she met art professor Lydia Siedschlag who became a mentor for Frostic. One year had passed and Frostic left the college just shy of graduation. After a failed teaching job in Dearborn, she knew she had to be creative in order to make a living and support herself (James 30-34). Against her parent’s wishes, Frostic established her first small metal business in the basement of her parent’s house which she called, “Metalcraft”. She created beautiful pieces of art such as fireplace coverings and sun dials, among others. About two years after the business was created, the Stock Market crashed, yet Frostic never feared a failed business. Her metal business flourished for many years, but not without complications: in 1935, Sara Frostic passed away and she had to assume her mother’s responsibilities of being a housekeeper and a mother figure to her siblings (James 34-40). With the start of World War II, Frostic lost her metal materials to the war effort and her business plummeted. This prompted her to get involved, and she went to work at the Ford Motor Company bomber plant as a designer. Frostic was in charge of designing tools needed in the plant and was also responsible for finding solutions for many mechanical problems. At this time, she passively dismissed the metal business and used the plentiful resources around her to jumpstart a brand new business. Frostic discovered a source that could supply her with an inexhaustible amount of linoleum. Remembering her work in college with block carving/printing, she ventured on a new path of stationery and paper crafts. When she was not at the bomber plant, she was busy carving linoleum blocks. She purchased her first printing press for $45 and from this sprung, “Presscraft Papers” (James 40-43). Frostic’s business officially blossomed after she purchased an old grocery store, cleaned it up, and turned it into her place of business. She opened the store on weekends before the demands of the war took most of her time and worked the business full force afterwards. Eventually, the back room of the store became her apartment which offered her an opportunity for independence. Her business was just beginning to soar as she was struck with terrible news: her brother Bill Frostic, a soldier, was killed when his plane crashed into a Hawaiian mountain. For a considerable time after his death, Frostic acquired benefits from her brother’s life insurance: a monthly check of $42, all of which went directly to her business. As her business continued to expand, she invested in yet another printing press and developed a stronger repertoire of prints (James 51-56). The year 1950 brought quite a few changes in the Frostic family. Fred Frostic retired from his job as superintendent and decided to live out his days in a lovely scenic cottage-inspired dwelling he found in the north woods. Frostic, a very convincing woman, persuaded her father to build his cottage instead. She elected to help pay for the materials and the site and the building project went underway. She spent much of her time in this location, more for the scenery surrounding the cottage than for any other reason. Eventually in her printing career, Frostic had enough of the commotion and decided to close her Wyandotte printing location and relocate to the quieter town of Frankfurt in northern Michigan. This shift would give her ample opportunity to focus on exploring nature and carving her linoleum blocks. She opened a very modest printing business in an old barber shop, a store front facing a picturesque bay off of Lake Michigan. Fred Frostic, along with his second wife, Florence, decided to relocate to Ann Arbor as his health weakened. Soon after, the Frostics were struck with more unfortunate news: Fred Frostic passed away in March of 1954 after suffering a heart attack. Because of this, Frostic decided to make her move to northern Michigan permanent (James 51-56). The town of Frankfurt brought both business and social opportunities to Frostic. She often delighted in social engagements with her close female friends but rarely kept a male friend. Many men in Frankfurt viewed her as mean, distasteful and unkempt and, as a result, decided they would have nothing to do with her. Despite her newfound social networking skills, her number one priority was always profit and business, and for good reason. Her sales grew both geographically and in figures. She now focused on the expansion of an already successful company by adding onto the building (including a second-story apartment), buying more printing presses, and hiring staff (James 57-61). Presscraft Papers continued to blossom as Frostic took on a slightly new endeavor: the process of book writing, printing and compilation. Her first book, My Michigan (1957) displays her passion for the state by illuminating every part of life in Michigan: nature, animals, economic/industrial life, and the night life. 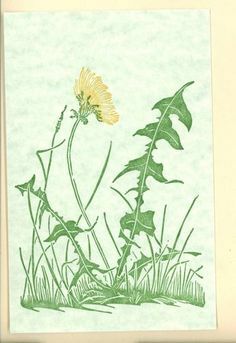 Her second book, A Walk With Me (1958) features a walk taken by Frostic depicting the beauty and elegance of nature. The book includes her personal printing and poetry, with many of the prints layered for a dramatic effect. Frostic’s completed book work totaled at least twenty-two before the turn of the century (WMU Development Office, “Gwen Frostic”). After spending time living and running a business in the city, Frostic decided to return to nature: a place where she felt truly at home. She purchased an area of swampland in nearby Benzonia to erect a nature-inspired building that would house Presscraft papers. With accents of large rocks donated by neighboring farmers and tree trunks sliced down the middle, Frostic’s new business had taken on a look that suggested that the building grew into its resulting formation. She opened this location of Presscraft Papers on April 26, 1964, which happened to be her 58th birthday. In the years following, Frostic’s business reached new and unexpected heights; visitors from all over the country shopped in her store, the business received favorable notice from the press, and the store came to own fifteen printing presses in operation, a number which most likely continued to grow in the years following (James 68-69). In her later years, Frostic pursued higher education, earning a Doctorate from Albion College and Eastern Michigan University (Fine Arts and Laws, respectively). After this, she earned Doctorates from Michigan State University (Fine Arts) and Alma College (Literature), completing her graduate studies in 1977 (James 72). In 1978, “The governor designated May 23 as ‘Gwen Frostic Day’ in Michigan” (Pferdehirt 112). The year 1986 presented Gwen Frostic a place in the Michigan Women’s Hall of Fame, where she remains honored today (WMU Development Office, “Gwen Frostic”). In 1999, Frostic’s health took an unfortunate turn; she was forced to hire an assistant to help run the shop and was later confined to a wheelchair due to an infection. Despite the debilitating illness threatening her life, Frostic continued to feed and socialize with her wilderness animal friends, as she had always done. Frostic passed away in 2001, yet her spirit lives on in her artwork and the story of her life (James 88-90). A woman plagued with illness from a young age, she learned from the start to be strong and witty, and thus she remained until her final days. Gwen Frostic is and will remain a Michigan art legend.